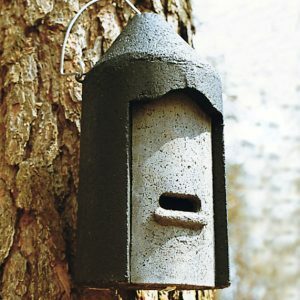 Large day roost Bat Boxes 2FS and 3FS for small Bats. 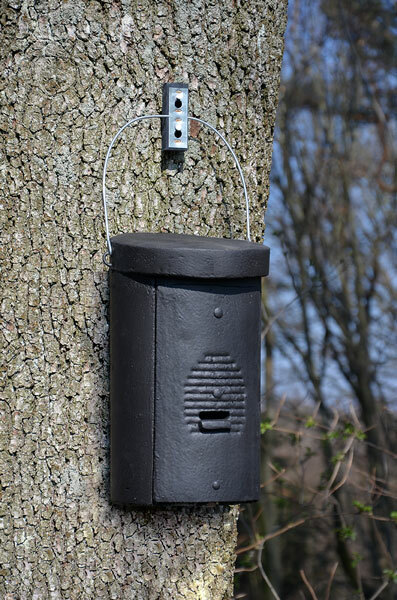 These two Bat Colony Boxes are an add-on to Bat Box 1FD with double front panel and are used as soon as larger groups of residents have developed. 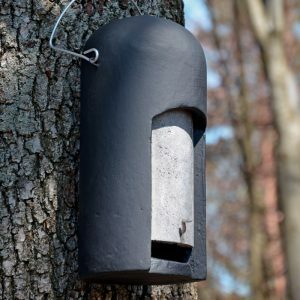 Larger groups of residents have developed. 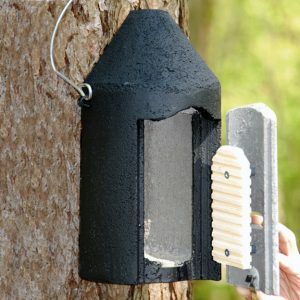 Each equipped with a narrow, anatomically shaped entrance, tried and tested for the cavity type, they prevent larger Bats, Birds, Dormice and Mice from intruding. 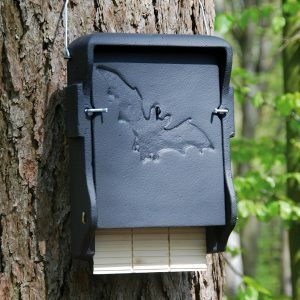 The smaller species such as Natterer’s, Whiskered, Daubenton’s, Pipistrelle and Nathusius’ Pipistrelle Bats, etc. 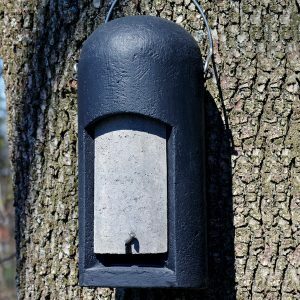 can rear their young in a larger group without being disturbed. The interior of the cavity is aimed at precisely this. 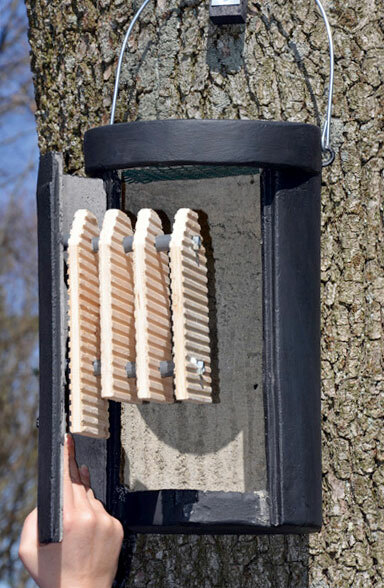 Installation: Tree and forestry-compatible Aluminium Nails and C-Block. Items supplied: 2FS incl. Hanger with Mounting Block und Aluminium Nails.